I’ve been in a cooking/recipe rut the last week or so. Nothing sounds good and I’ve not felt like spending hours in the kitchen. But eating out every night is costly! Especially when you do your best to stay gluten, dairy, and refined sugar free! So, what have I been eating to stay on budget but not spend more than 20 minutes in the kitchen? I’m glad you asked. 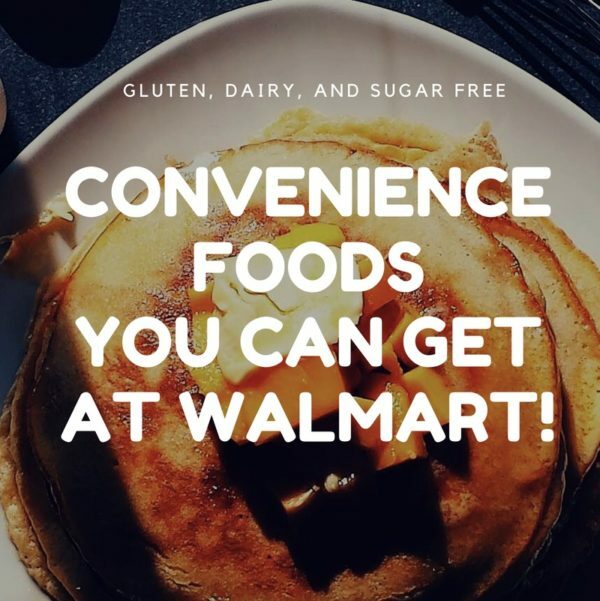 Here’s a few of my favorite convenience foods that I keep on hand for those times when cooking is just not appealing! 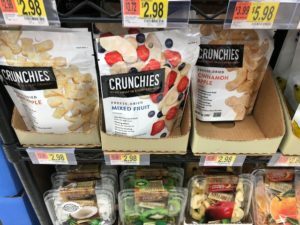 This first section is all foods you can get at Walmart! Now, I try and avoid Walmart because I HATE it with every fiber of my being! I hate the crude, obnoxious people and the long checkout lines. I dislike the fact that I spend more time in line to checkout than I do shopping in the store! But Walmart can be very convenient. It’s a one-stop shop and I know for many people, it’s the only grocery store available to them close by. So here’s a few of my favorite products at Walmart. 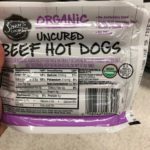 Sam’s Choice Organic Hot Dogs: They’re grass-fed all beef, about $2 a package cheaper than Applegate, and contain no fillers or antibiotics. They’re mostly sweetened with honey, though the package does say it contains less than 2% of organic cane sugar. 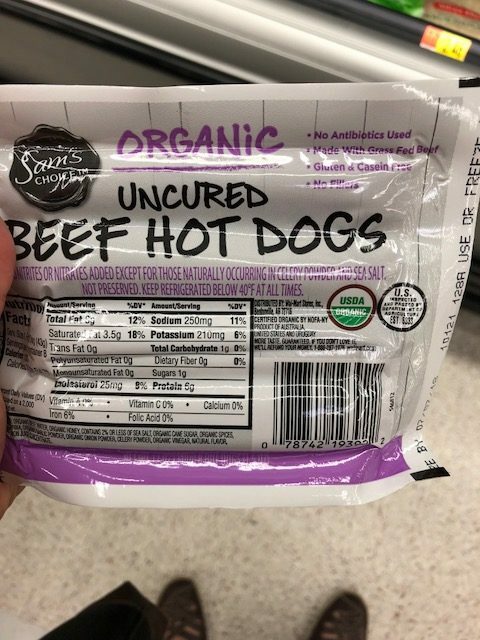 But for $4, they’re a great deal!And I love hot dogs. It’s one of my most favorite quick meals! 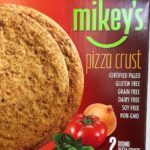 Mikey’s Pizza Crust (and other products): Mikey’s pizza crusts aren’t my absolute favorite gluten free pizza crust. 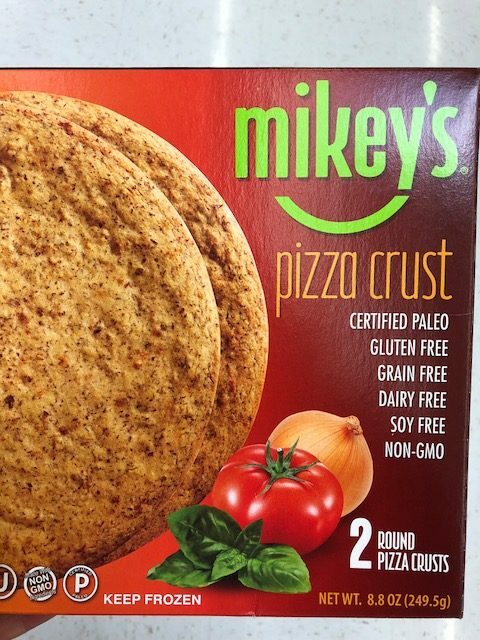 I like Udi’s crust a little better but Mikey’s are Paleo approved! They’re gluten free, grain free, dairy free, and refined sugar free. I top them with sliced tomatoes, fresh basil, and either some grass-fed cheese or a dairy-free cheese (depends on what I’ve got on hand or what’s on sale!) and you’ve got a great Margherita pizza in about 20 minutes! These crusts take a while to bake and I recommend you bake them for a little while before adding toppings or else you’ll get a soggy pizza. Mikey’s blueberry muffins and english muffins are wonderful though! I like them better than the pizza crusts. They’re a great fast breakfast! 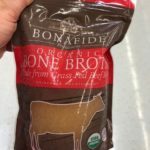 Bonefide Bone Broth: I usually have homemade bone broth frozen in my freezer but for those times I don’t, it’s Bonefide to the rescue! Add some chopped up rotisserie chicken and some frozen veggies and you’ve got a super quick chicken soup to feast on! 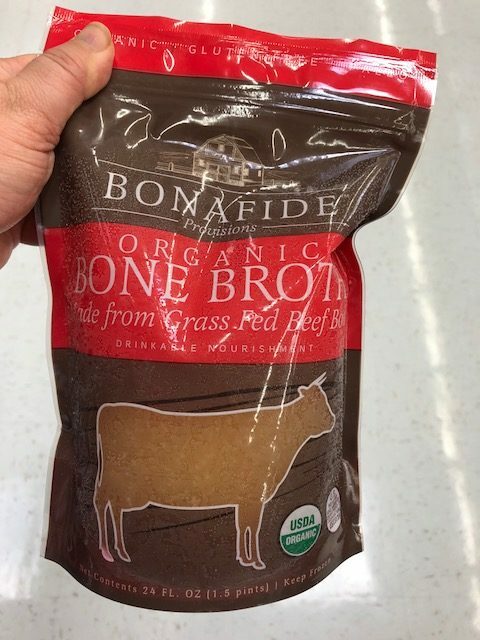 Bonefide’s a little expensive (this bag is over $7) but it makes a full pot of soup that can be used for lunches for a few days! 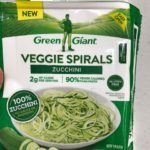 Frozen spiralized veggies: Green Giant has come out with a whole line of spiralized veggies that include butternut squash, carrot, and the ever popular zucchini! (P.S. 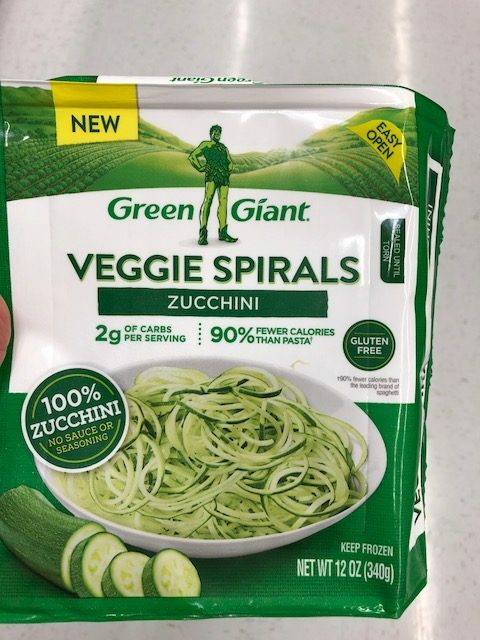 Noodles and Company just launched a zoodle line too so now you can get any of their pasta dishes on zucchini instead!) They also have a cauliflower rice with different mix ins that’s an easy side dish option as well. I like the frozen zoodles for pretty much instant spaghetti! Add some marinara and top with whatever protein you’d like and it’s dinner on the table in like 10 minutes! 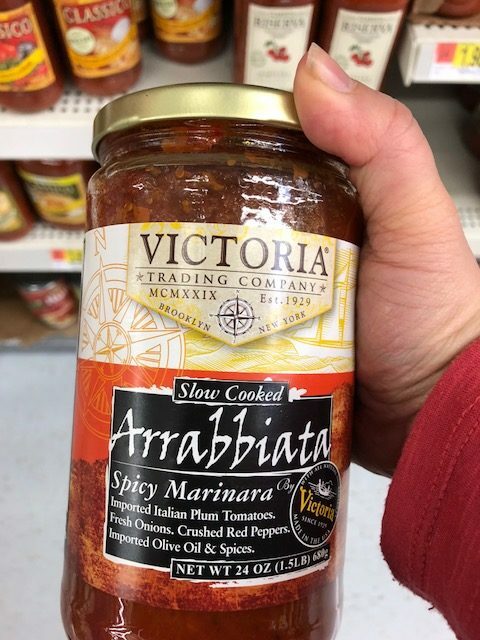 Jarred Marinara: There’s two brands of pasta sauce I like that are both very reasonably priced! 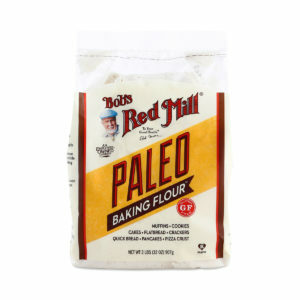 Walmart also carries Rao’s homemade, which is lauded as Paleo and Keto approved on numerous websites but that’s $8 a jar! No thank you. 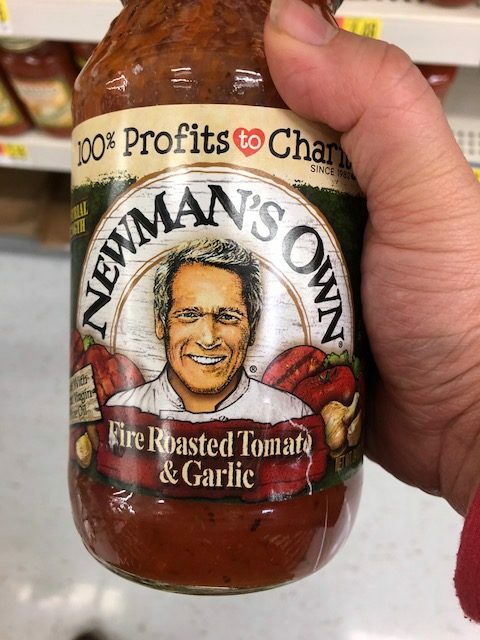 I’m not spending $8 on a single jar of tomato sauce! These two have no added sugar in them and are priced at a much more reasonable $3.50 and $2 a jar. Now that I can do! 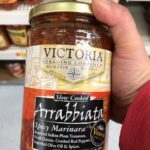 Victoria’s Arrabbiata Marinara ($3.48): This one has a little bit of kick to it and I love it! And the ingredients are great! Just tomatoes, onions, olive oil, salt and spices. 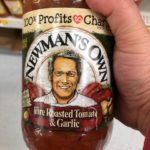 b. Newman’s Own Fire Roasted Tomato ($1.98): I like this one too and it’s not spicy if you don’t like spicy foods. It’s all natural and also contains no sugar. And the price can’t be beat! Bob’s Red Mill Paleo Flour Mix: I almost always have this in my pantry (or Simple Mills!) for quick and easy pancakes! Breakfast for dinner is the best quick and easy weeknight meal idea and we eat it regularly around here! Crunchies: This is not a meal idea but one of my favorite snacks 🙂 They have 3 different types but my favorite is the Cinnamon Apples. And those are the ingredients too, just cinnamon and apples! I love them! So these are my top picks and some of my favorites from Walmart. Be on the lookout this weekend as I take you through my favorites from Sprouts and Trader Joe’s! Eating clean doesn’t have to be a budget buster, even when you don’t feel like cooking! Do you have any favorite go-to foods when you don’t feel like cooking? Share them in the comments below!